Installing an air conditioning unit is no simple affair and being a major home appliance, is a significant investment. Every home and family’s conditioning needs vary based on a variety of factors such as the size of the house, the number of rooms and the family’s lifestyle. Things like when to make the purchase and which company to buy from can also be confusing for a first time buyer. There are numerous air conditioning and heating companies to choose from; a wrong choice could cost you in the long run, not to mention cause undue stress and frustration from the system breaking down due to poor installation or cheap parts. Proper installation with high quality parts will ensure longevity and efficiency of your system. Here are a few tips to consider when choosing an air conditioning specialist for your air conditioner purchase and installation. Air conditioning companies, while similar can delivery vastly different quality. This could be from the lack of training, inexperienced workers, or a poor work ethic that focuses on cutting cost rather than customer needs. A good way to verify the credibility of the company you intend to contract services from is by checking their website for any accolades, qualifications or customer testimonials. These are things to boast about and a reputable company will be proud to display it on their site. Positive reviews and recommendations from previous customers are markers that a professional is trustworthy and will deliver quality work. Friends and family are also reliable sources of opinion when selecting a professional for the installation. A professional air conditioning company will be attentive to their customers requirements by asking plenty of questions about their homes and needs, so they can offer appropriate recommendations pertaining to the situation. A company that is dedicated to their customers will want to forge a long term working relationship for future business opportunities. A significant red flag is if the contractor hired jumps straight to talking about money. Different manufacturers of air conditioners will have different specifications, quality standards and price points. Having access to a range of leading manufacturers will increase the chances of finding a system that is suited to every customers’ needs and budgets. An air conditioning professional will be able to offer an expert opinion of the pros and cons of each manufacturer to help you make an informed decision. 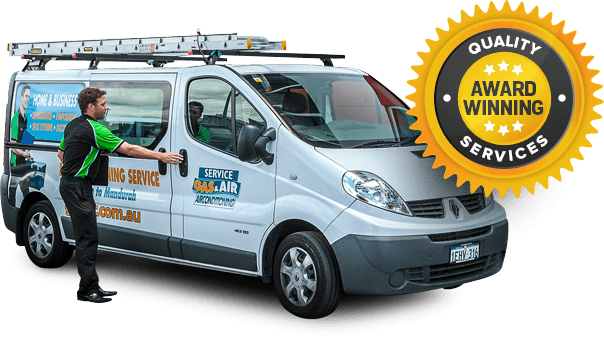 At Jeff Mouritz Gas&Air we are an air conditioning Perth company that provides quality air conditioning solutions that work. We are a professional air conditioning company with over 40 years of specialized experience in air conditioning installation, service and repairs. Our team of highly trained contractors are dedicated to ensuring that your installation goes smoothly. Call us today at 1300 369 690 for more information about air conditioning specialists. Our team members are ready to address any enquiries you might have and assist you in scheduling an installation for your home.